Already a fully-fledged British classic in the vein of Billy Elliot or The Full Monty, Pride comes courtesy of the current Old Vic director Matthew Warchus, the man behind blockbuster musical Matilda. 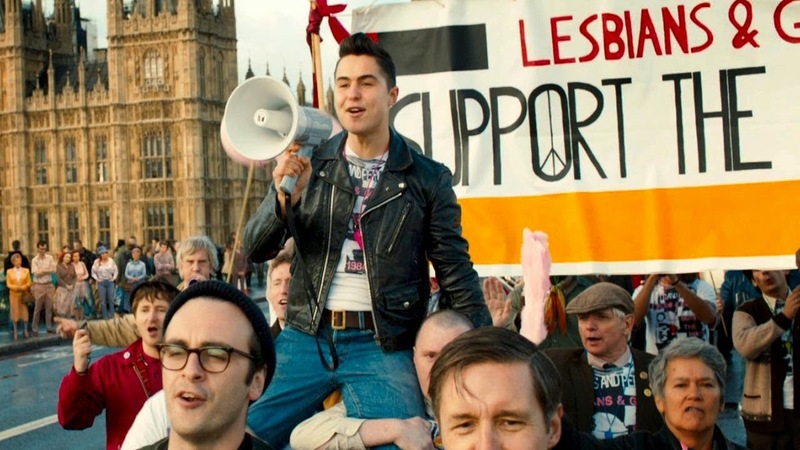 Combining pathos and politics to remarkable effect, Pride follows a group of downtrodden Thatcher-era queer rights activists who garner national attention in ways they could never have predicted, after they decide to focus their campaigning efforts on an impoverished Welsh village in the grip of the miners' strike. The consequences are at once dramatic, comedic and romantic. The impressive ensemble cast, including Bill Nighy and Imelda Staunton, playfully subvert stereotypes, whether its curtain-twitching villagers or militant, colourfully-attired 80s gays and lesbians. Andrew Scott as the adorable and reticent Welshman Gethin is a highlight. With its crowd-pleasing soundtrack and delicate balance of characters, it's no wonder Warchus has hinted he may adapt Pride for the stage. The best British film in years, and, fingers crossed, a dark horse for Oscar glory. This is a great film and it is based on a true story.